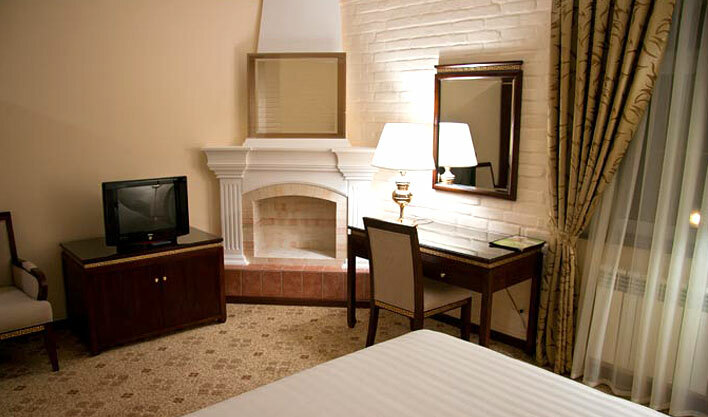 A small hotel "Shark" has a cozy patio, an outdoor pool and a restaurant. 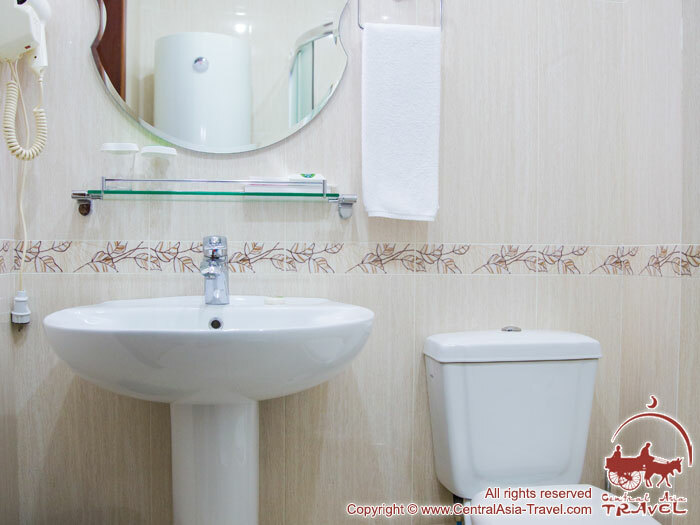 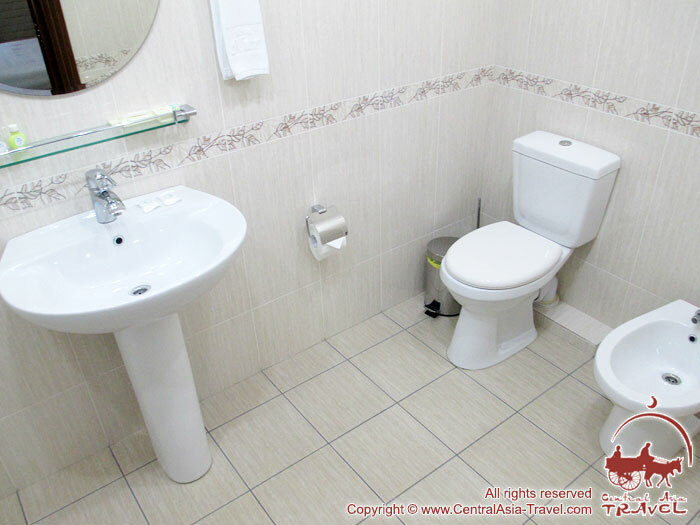 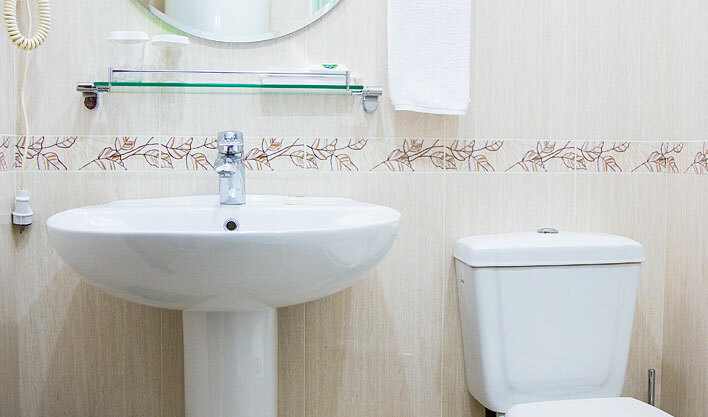 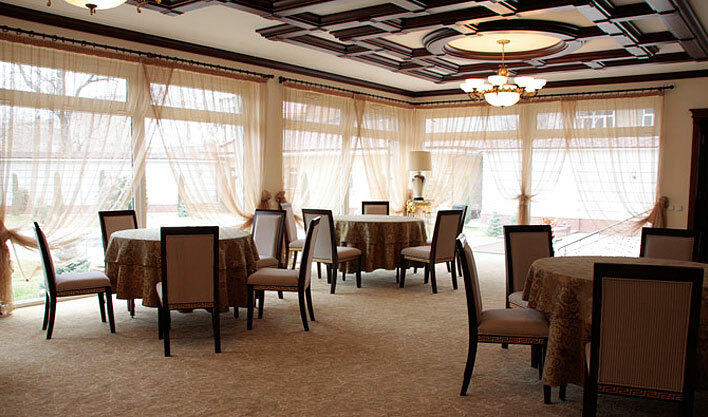 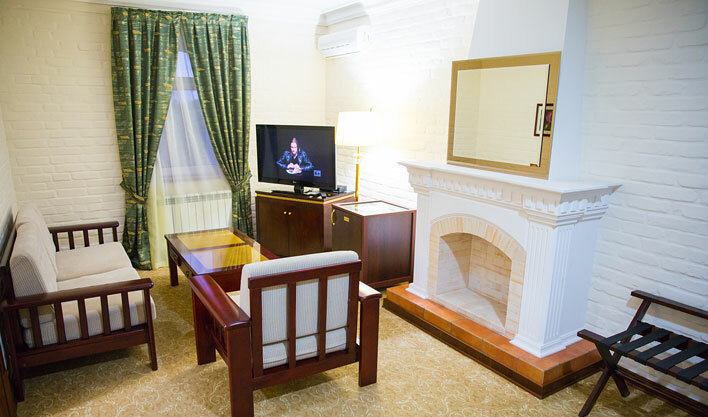 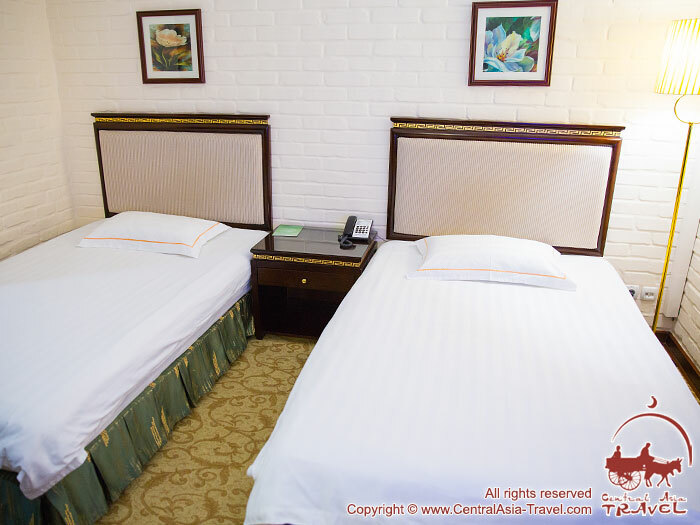 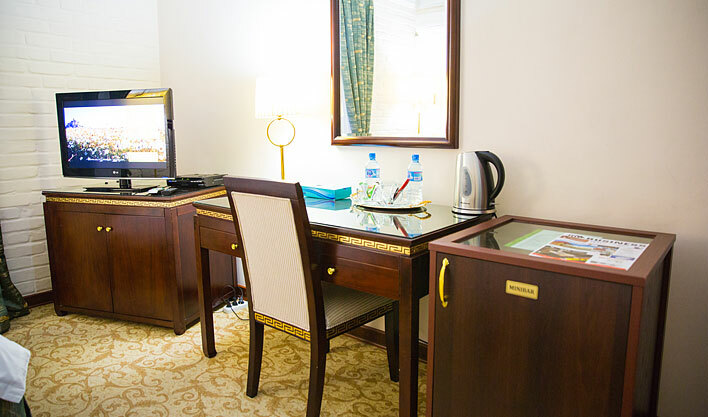 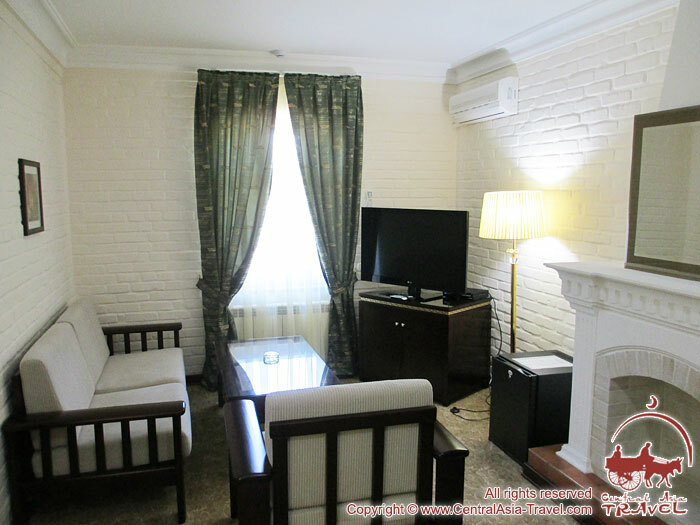 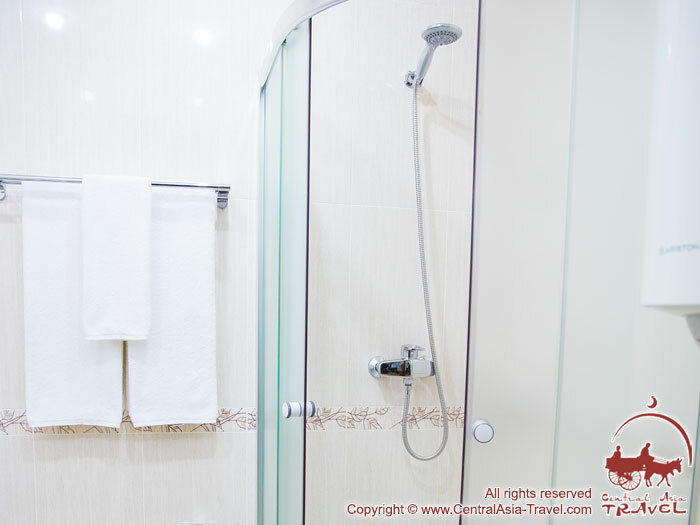 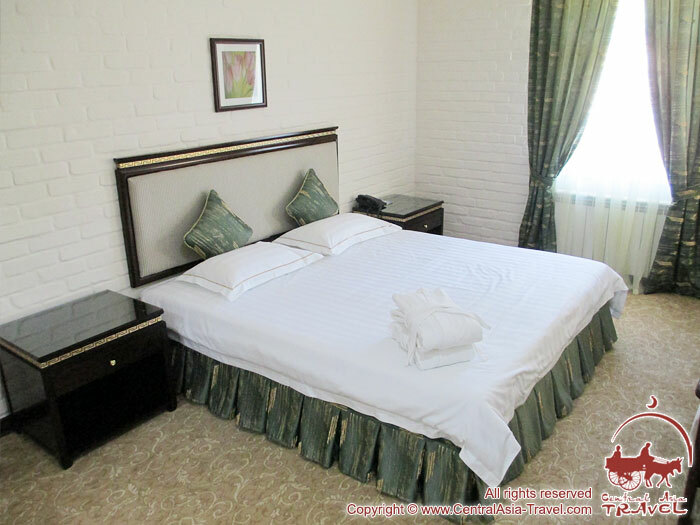 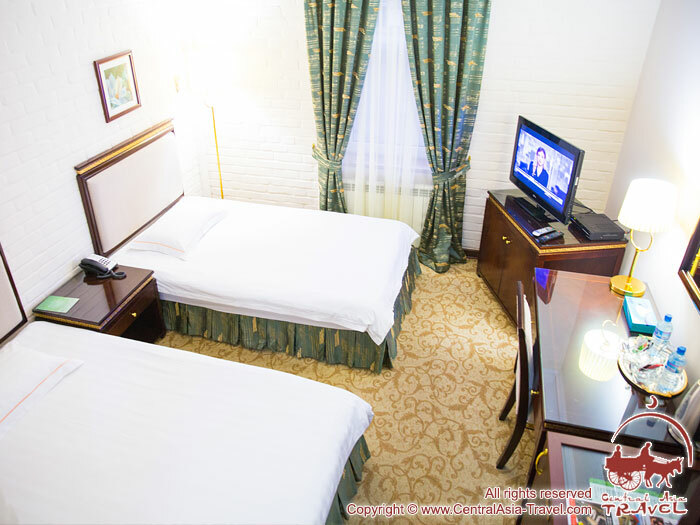 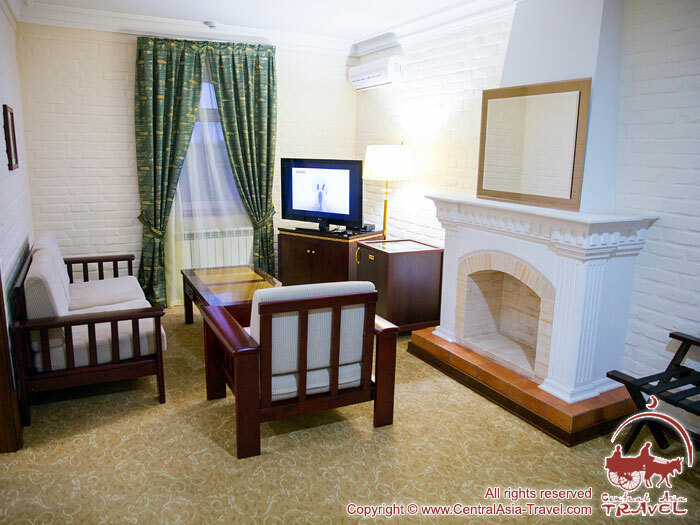 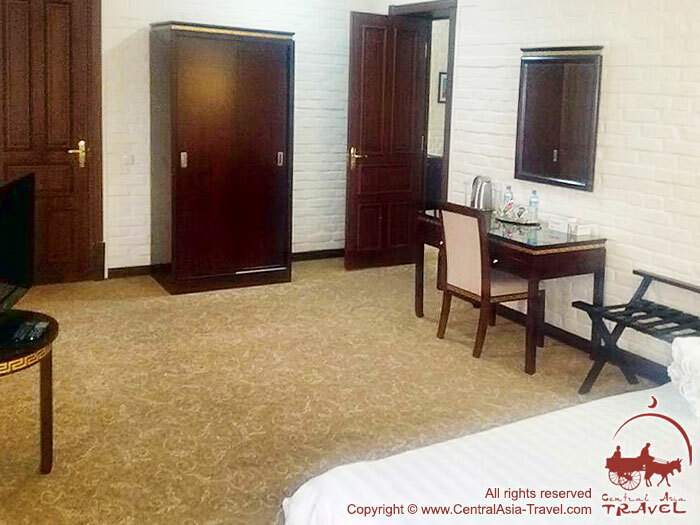 The hotel is located in a quiet street in the center of Tashkent, 5-minute walk from the Cosmonavtlar metro station and 6 km from the international airport. 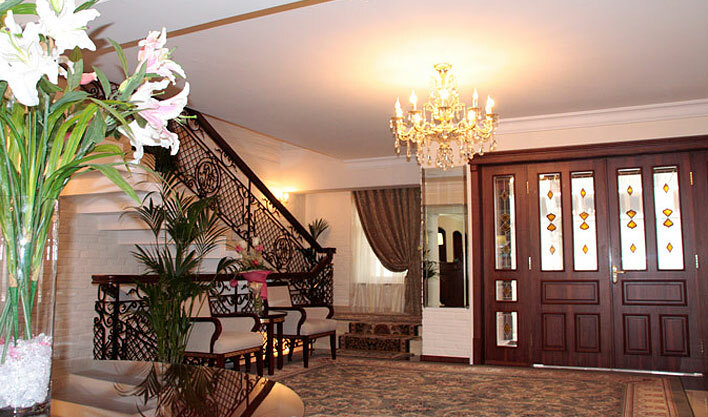 The interior of the hotel "Shark" is decorated in a classic style. 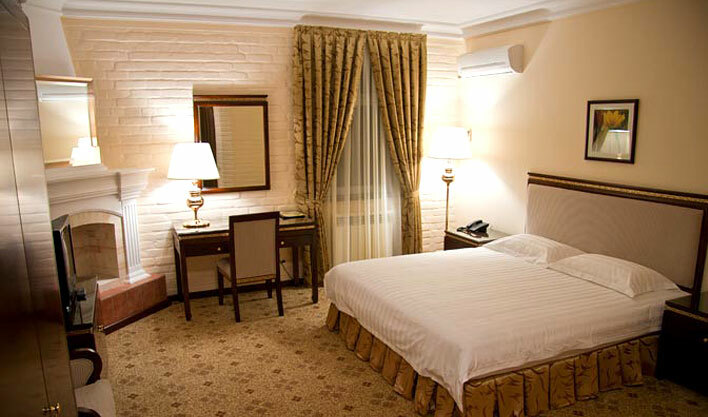 Spacious, bright rooms make guests feel at home with luxury and comfort in every detail. 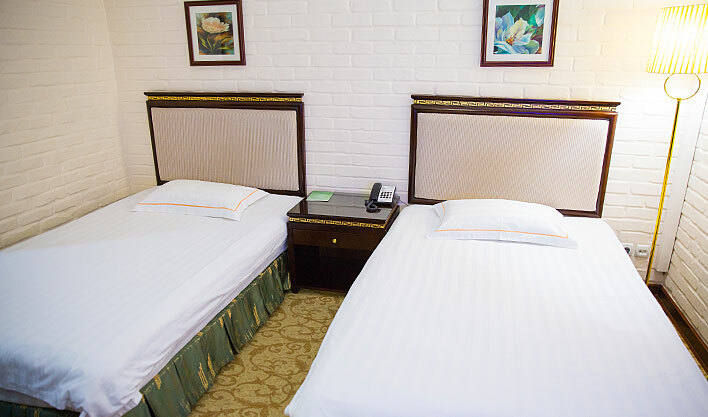 Free Wi-Fi and bicycle rental are available on site. 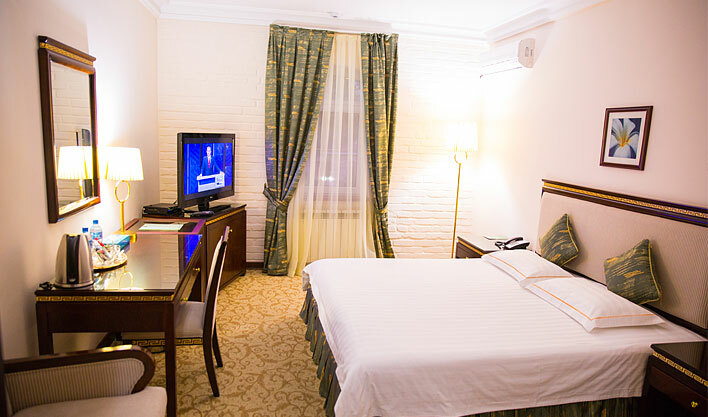 Luxe Rooms differ with luxury and comfort. 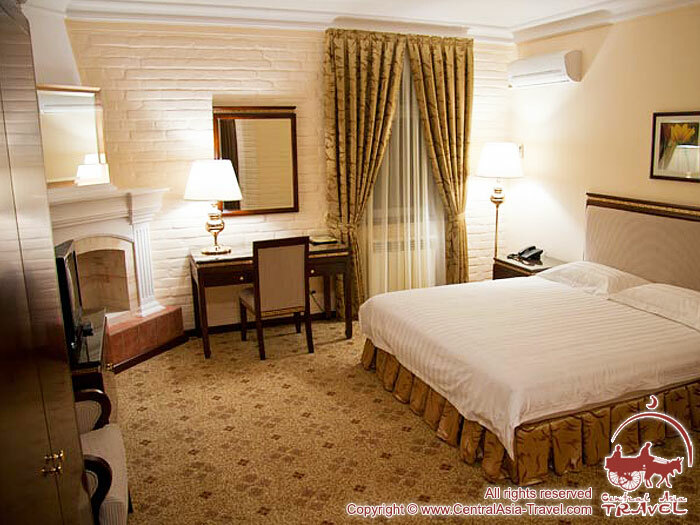 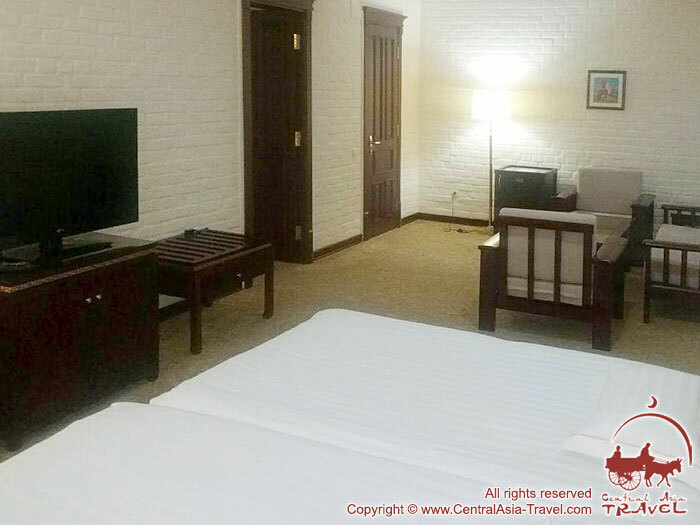 The apartments consist of two rooms: sitting hall and bedroom. 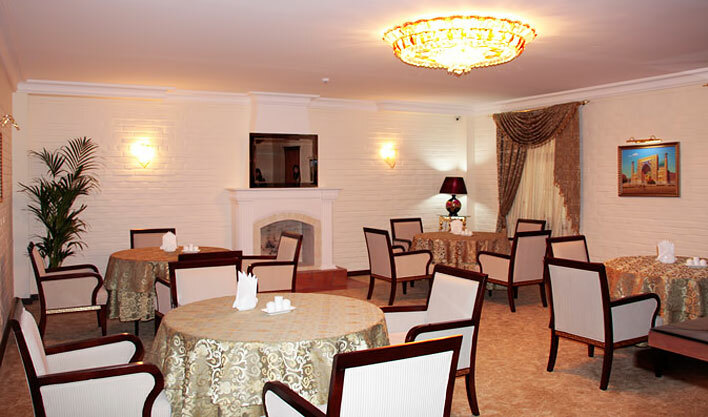 • Breakfast (swiss table from 07:00 untill 11:00) is included into the cost. 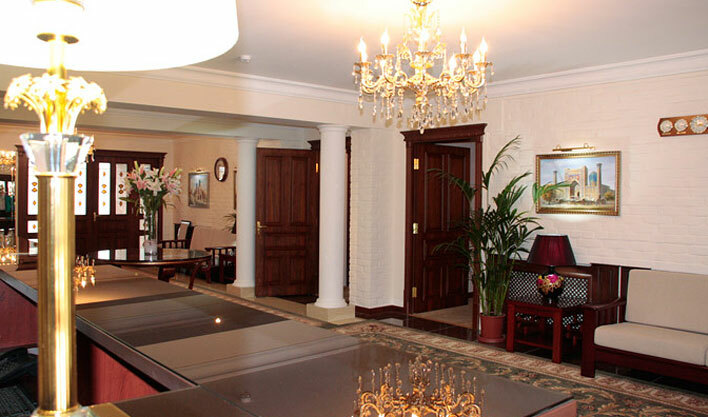 • 24 hour reception desk. 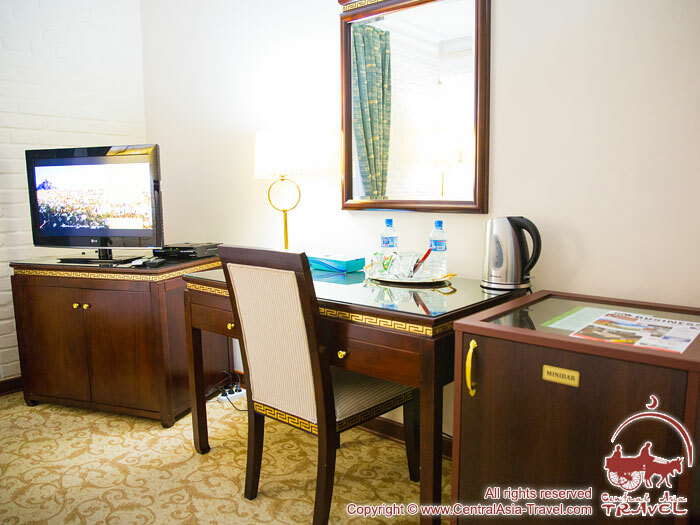 • 24 hour room service from the restaurant.